The concept of the ePatient – someone who is equipped, enabled and empowered by digital technology and social networks to make better decisions about their health care (and that of their loved ones) – is no longer a novelty. We have become increasingly familiar with the term and its leading proponents over the past few years. What is perhaps more novel is the idea that the ePatient of the future will be the norm rather than the exception. New technologies will enable all of us to monitor our health and gather sophisticated data which in turn will empower us to interact with our healthcare providers in a partnership. Forced to increasingly take responsibility for our own care in a complex system, digitally savvy health consumers will combine information from doctors, the Web, electronic medical records and other sources to “hack” the health system to educate ourselves, navigate loopholes and ultimately get better, lower cost and faster care. How this will come about is the subject of a new book by Rohit Bhargava (author of Likeonomics: The Unexpected Truth Behind Earning Trust, Influencing Behavior, and Inspiring Action) and healthcare futurist Fard Johnmar. Featuring original research and stories of healthcare innovators from across the world, ePatient 2015: 15 Surprising Trends Changing Health Care acts as a guide to the rapid changes taking place in health. It shares 15 trends that are poised to fundamentally change the way health and medical care is delivered and received in the near future. I recently interviewed Fard Johnmar on the main themes presented in the book. I started by asking him what he thinks is the biggest challenge facing health care today? F.J. This is a tough question. Especially because there are so many issues facing healthcare globally. Many people would point to rising health costs — especially in the United States — and lack of access to high-quality care as being significant problems. I agree with this assessment. Yet, there are two under-reported, but equally as important issues in healthcare: a lack of personalization and the profound isolation that people who fall ill face — whether they have mental or physical illnesses. In many parts of the world, particularly in Western countries, individuality and autonomy is highly prized. Yet, people entering health systems are often transformed from individual actors to cogs in the medical machine. Sometimes this is necessary, as standards of care allow doctors to treat patients based on sound science and medical practice. But it also has negative consequences, especially in cases where personalizing therapy is highly beneficial. In terms of social isolation, this is an even more significant problem. As familial and cultural support structures have eroded and the cultural stigma associated with being sick in public continues, people facing illness sometime find themselves with few allies. 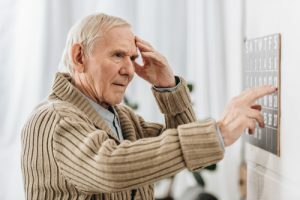 Fortunately, people in the global health industry recognize these issues and are developing — and using — a range of innovations designed to drive greater personalization and help patients forge connections with others facing illness and those seeking to support them. Q. In your book you identify 15 trends that you observe in health care today. These are propelled by three overarching themes – can you tell us a little more about these themes? Health HyperEfficency refers to a range of technologies and techniques which promise — via greater computing power, better human-machine interfaces and other innovations — to help us reduce health spending. Of particular interest is our growing ability to predict whether and how people will get sick in the future. If we can work with people to stave off illness, this will reduce costs significantly while improving health and wellbeing. 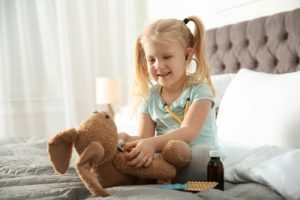 The Personalized Health Movement refers to the use of innovations in the analog and digital realm, from genomics to food advocacy, that will help people do everything from receive medications tailored to their genetic profile to taking more control of the food they put into their bodies every day. It’s all about providing people with tools that enable them to receive high-quality, but individualized care. Digital Peer-to-Peer Healthcare is inspired by a concept promoted by my friend Susannah Fox of the Pew Research Center: that we are living in an era where we have the ability to forge human to human connections in ways that were not possible in the past. Q. Can you explain to us what you mean by the term “carehacking”? 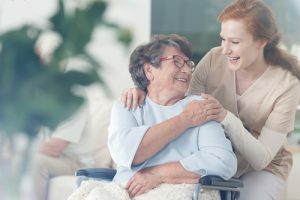 As we looked at how people were using technologies and tools available to them to better understand their bodies, we realized that a great term to describe this activity would be carehacking. Traditionally, health systems have been like impenetrable black boxes, where people had little understanding of their treatments, the data collected from their bodies and more. In some respects, you could almost describe the situation as akin to modern computer programs, where most people have no understanding about what’s behind the magic taking place on the screen. Decades past, many using personal computers had to understand how to manipulate, or hack them, them at code level, to make things happen. We’re now seeing people learn a lot more about the “programs,” data and interactions that make health systems tick. They are using this knowledge to hack the system to do everything from navigate the evolving health insurance landscape to help doctors manage their cancer care. Q. As we collect more health data it is raising many new privacy and security concerns. 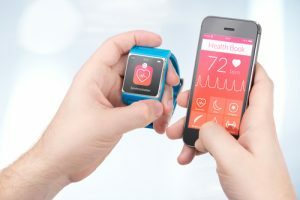 Are patients sufficiently aware of the issues surrounding the ethics and privacy of their health data being collected and analysed by app developers, websites and insurers? How can they protect themselves? No, people are not aware of the scope of health data being collected about them, how vulnerable it is to attack and the consequences of health data breeches. At this stage, knowledge is the best protection — especially as it relates to sharing health data via the social Web and mobile devices. Q. As more of us turn to wearable computers to monitor our health, and the data becomes more sophisticated, are we in danger of becoming overwhelmed or immobilized by all the information we gather? Absolutely. In fact, the issue of health data overload is certainly not a new one. Just ask anyone who has turned to Dr. Google to learn about their symptoms or a new diagnosis. Sifting through millions of irrelevant search results is no picnic. What’s changing is that innovators are producing a range of tools and technologies that provide people with much more access to highly sophisticated health data. While the flood of information is increasing exponentially, we’re not seeing enough serious efforts to help people not only make sense of this data, but turn it into action. Non-actionable health data is worse than useless. 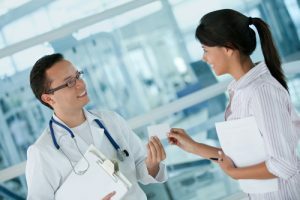 Q How will all of this affect doctor/patient relationships? Are health care providers ready for the patient of the future? During the dawn of the Internet age, physicians were caught off guard by the rise of the patient Googler. Today, some doctors are still not comfortable with the fact that patients research their health conditions online and ask many questions based on what they have learned. Today, innovators, entrepreneurs and others are busy introducing innovations that have the potential to upend doctor-patient relations in ways we could only imagine during the Internet era. As I discussed in this recent essay published on KevinMD, many doctors are simply not prepared for the next generation of technology-empowered patients. Q While the digital future is an exciting one, it is not without pitfalls. What potential problems lie ahead for us if we don’t pay heed to them now? If I could pick one issue we need to address it would be this: The need to move from health knowledge to health wisdom. As humans, it’s in our nature to race ahead with little heed to the consequences associated with the innovations we develop. For example, we can see this happening in the area of genetics. We’re gathering more data about the link (or lack thereof) between our genetic code and disease. We’re providing this information to the public, but paying less attention to helping people make sense of this information and — more importantly — make better decisions based on genetic data. Engaging in paternalistic efforts to prevent people from accessing medical knowledge is certainly a bad idea. But, providing people with information is only the first step. We need to help people become wiser health data consumers and do more to ensure they make sound decisions based on information they access and receive. Thank you, Fard, for sharing your insights with us.